Romanians unite to say no to mining! Sunday marked the sixth global day of protest against the development of large-scale mining in the Transylvanian mountains of Romania. Scores of people turned out for a lively protest in London directly opposite the parliament buildings at Westminster. Tens of thousands of Romanians subsequently took to the streets in protest, in what has been called the largest youth-led protest movement since the 1989 revolution. In response to such widespread dissent, Romania’s president and prime minister have both conceded that the project will likely not be approved. A special committee is now examining the draft law, a process that will last until at least November. Those who oppose the mine are staging ongoing protests that will continue until the project is officially laid to rest. 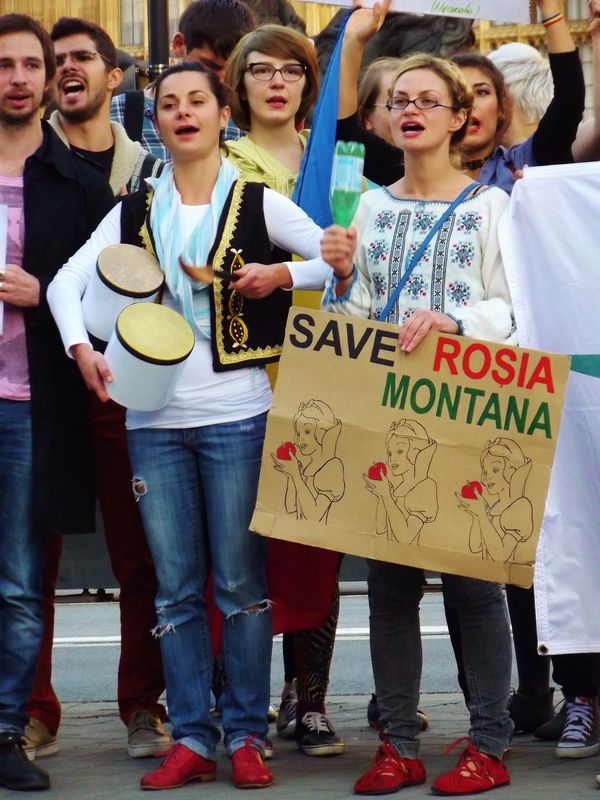 Solidarity actions around the Rosia Montana mining issue have been taking place across the globe. 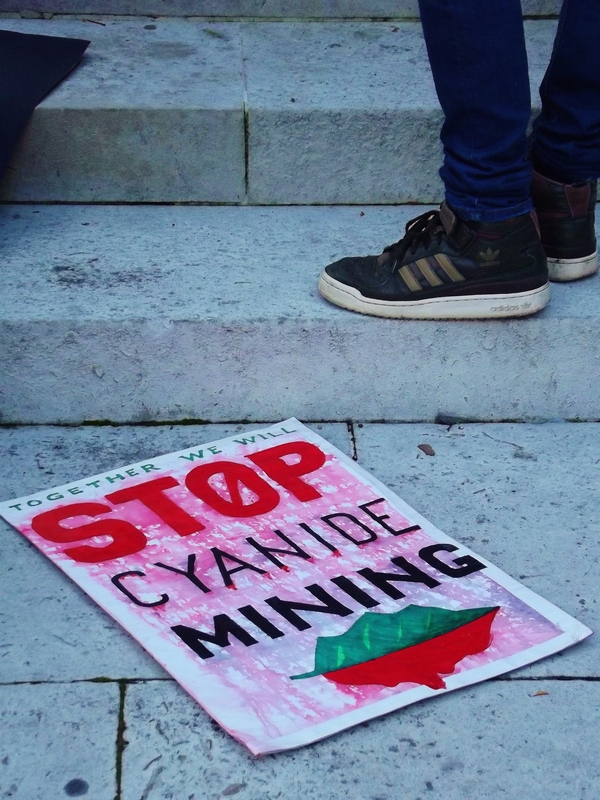 This past Sunday, people gathered in front of parliament buildings at Westminster in London to highlight their strong opposition to the mine and to call for an EU ban on cyanide. The 2000 cyanide leak in Romania has been described as the worst environmental disaster since the Chernobyl nuclear catastrophe in 1986. Clearly, Romanians have not yet forgotten the devastating consequences that mining can wreak on the environment. 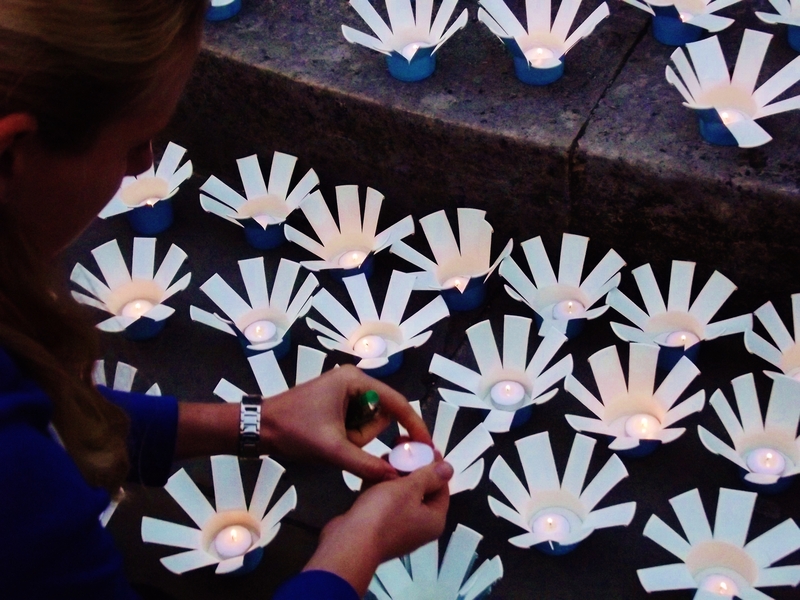 Inspired of these protest to stop mining by Romanians.